Scholarship packets for Pilots students are available to pick up in Holton 101 and in the Pilots study lab. You should have also received an electronic version via email from Jill. These scholarships require a letter of reference. Make sure your application packet is typed and looks professional and that you request your letter of reference ahead of time. Your reference should be from someone who knows you well, such as a professor, advisor, or a supervisor. 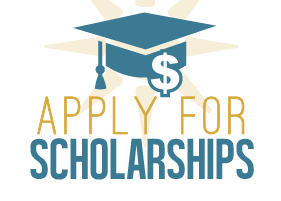 Remember, you must apply to be considered for one of these scholarships! To assist you in the application process, Jill will be holding a Pilots Scholarship Information Session on Monday, February 22 @ 4:00 pm in Leadership Studies Rm 113 and again on Thursday, February 25 @ 7:00 pm in the Pilots Study Lab before the applications are due. As a group, we will be going over the scholarship application packet and discussing how to build a strong packet. Recipients of this award will demonstrate strong leadership traits within a diverse community and a commitment to social justice while maintaining a respectable grade point average. Students may be awarded for any of the following: grade point average, strong work ethic, social responsibility, and/or demonstrated leadership skills. The recipient must be in good academic standing at the end of the Spring 2016 semester in order to receive this award for the Fall 2016 semester. The applicant must write an essay explaining the academic progress he/she has made and how he/she has overcome barriers. The recipient of this award will be a well-rounded, goal oriented individual with a strong work ethic and a sense of social responsibility. The recipient of this award will be selected by the instructors, advisors, and director of the Pilots Program. No application is necessary.